Creating advertising flyers from scratch can take hours and hours of time. There is a much easier way. Free advertising flyers and templates are available both through Microsoft Word and on the Internet. Use any of these free examples, customize it to match your company colors, and you'll have a personalized flyer to use with minimal cost and effort. Here are a few of the free examples of advertising flyers in which you can use as templates. Some of these have been created by me and available as a free download right here on the Bright Hub website. Others are recommended places for top templates – the links to these are included at the end of the article. Within Microsoft Word 2007, many enhanced templates have been added. Select the Microsoft Office button and click on the "New" menu item. In the template window, click on the word "Flyers" in the left menu. From there, select any of the flyers that meet your needs for style and layout. Microsoft Word has templates including advertising flyers setup as door hangers, Easter events, real estate layouts, and many others. Scroll through the list and select the look you want. Double-click on the icon to select and open the template of the specific advertising flyer you want to use. From there you may customize the flyer by changing colors, graphics, and text. This template was created by me using Microsoft Word. It is set-up with book graphics, but can easily be converted for any other advertising flyer needed. Change the graphics simply by right-clicking and selecting the "change picture" option. Any other elements may be changed including text and colors. Open this template in Word and add specific text, logos, and colors to match your home's color or landscaping. 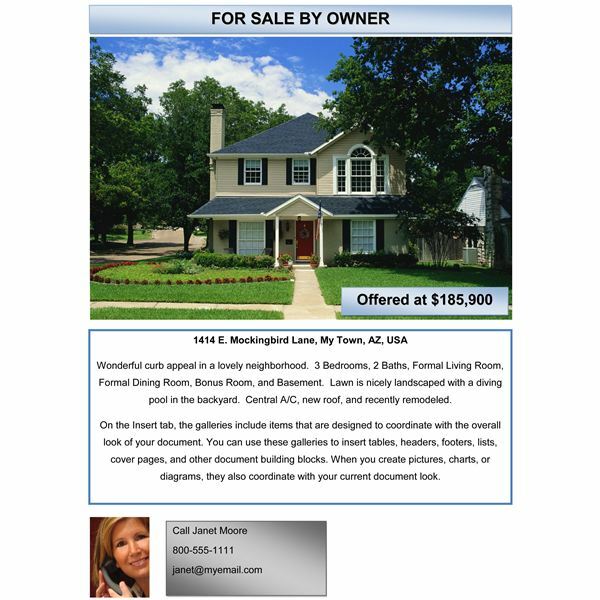 Many homes are for sale by owner and the valuable marketing and flyers created by real estate agents can be completed by homeowners using this template. 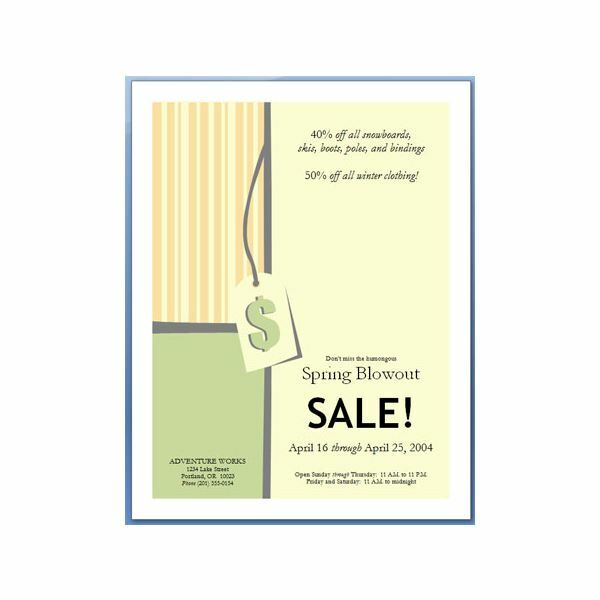 Free Templates Depot offers a variety of advertising flyers to use with Microsoft Word. Simply scroll through the list of available examples of advertising flyers and click on the image of the one you want to download. Ensure it is a free template, as the site does offer some templates that are not free too. Once on the specific template's page; click on the yellow "Download" button to download the advertising flyer into Microsoft Word. With the template open in Microsoft Word, edit any graphics, colors and text you want in order to customize the flyer. You may also want to look at "Best Free Flyer Templates on the Web" for more templates available on the Internet. 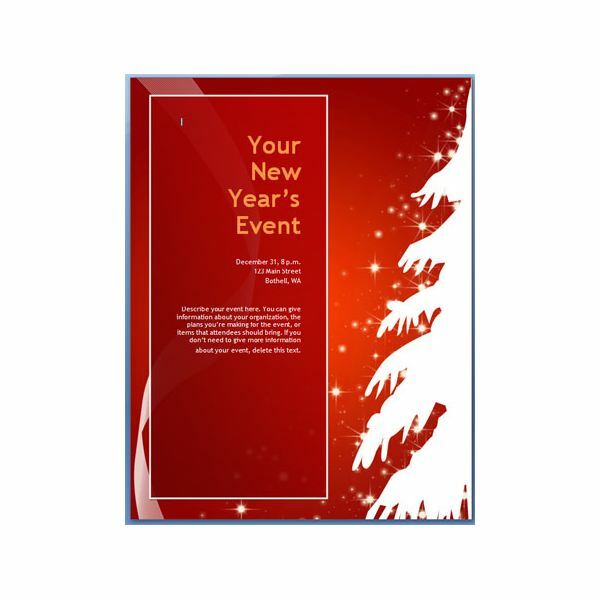 Free Flyer Templates offers free advertising flyers available to download into Microsoft Word. 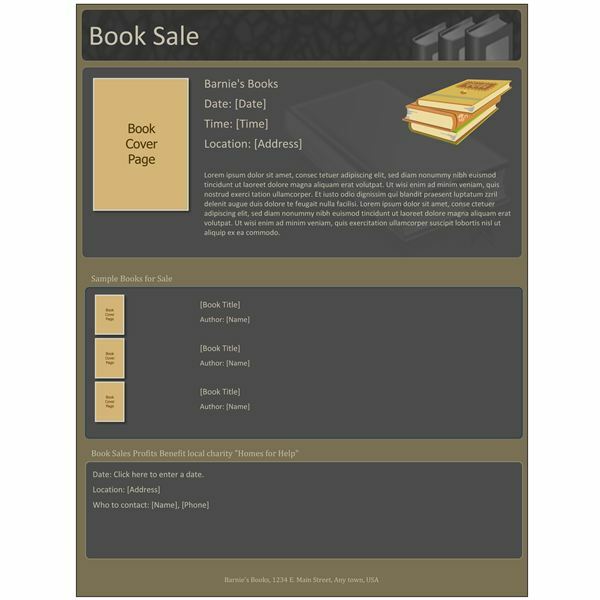 Examples available on the site include business layouts, holiday flyers, and various "For Sale" templates. Simply visit the site and select the "download flyer" link to download the template you want to use. The downloaded file is a ".zip" file. The file zipped is a ".dot" file; which is a Microsoft Word template file type. Simply double-click to open in Word. 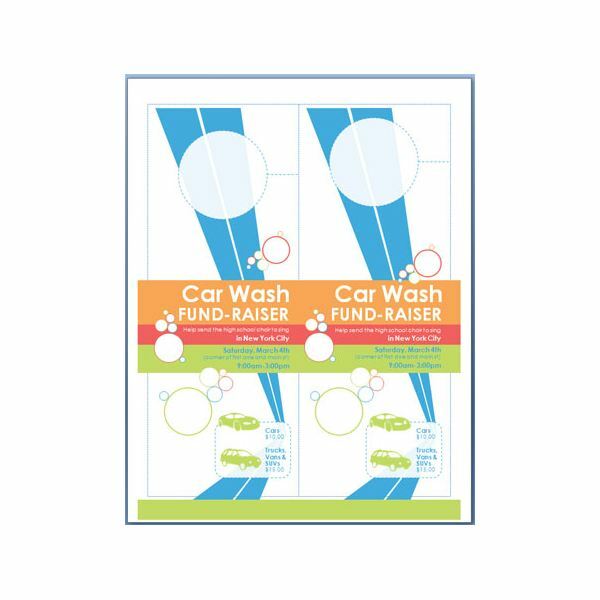 Once the template is open you may simply edit the graphics, colors, and text to personalize the flyer. If I were to provide one hint with using free examples of advertising flyers, it would be that you must customize the flyer. When using flyers found through Microsoft Word and online for free, there is a good chance that someone else in your town has used the template. By customizing colors and graphics, the flyer takes on an entirely different look with little effort. If you like these examples of advertising flyers, you may want to read the "How to Create Flyers for Free with Microsoft Online Word Templates." All other images were created by the author.